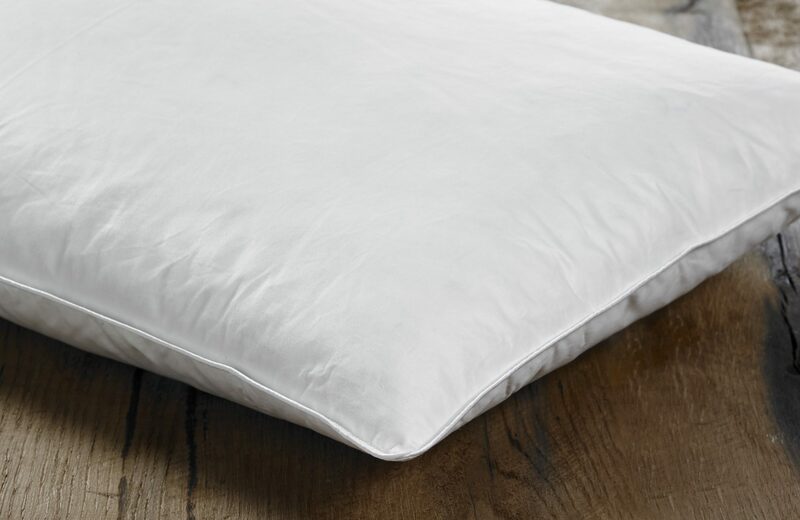 All of our pillows, duvets and toppers use the most luxurious European feather and down, and each piece is handmade here in Britain. We can custom make to any dimensions and also alter the weight and filling if required. We have no minimum order quantity and can deliver anywhere in the world. Each pillow and duvet comes with its own Gilly Nicolson white cotton bag for storing. Bespoke service available – we can make any size, any thread count, any tog and any combination of fillings. NOMITE® and Downafresh® certified and labelled. Nomite® ensures that even allergy sufferers can use such items because the tight weave of the fabric acts as a barrier to dust mites and offers extra protection. Those who suffer from house dust allergies or asthma can therefore also enjoy the natural comfort of our down and feather bedding products. Downafresh® is a guarantee that the down and feather fillings comply with the strictest hygienic requirements, are subject to audited traceability and comply with all laws and regulations relating to animal welfare and ethics. It also ensures that all fillings are regularly independently tested to ensure compliance. Goose feathers are softer and have more of a curl which means they have a higher fill power. The down clusters are larger and there is less of an odour associated with Goose. Duck feathers have a very slight odour. They also have a straighter feather with a thicker quill, which results in a lower fill power. 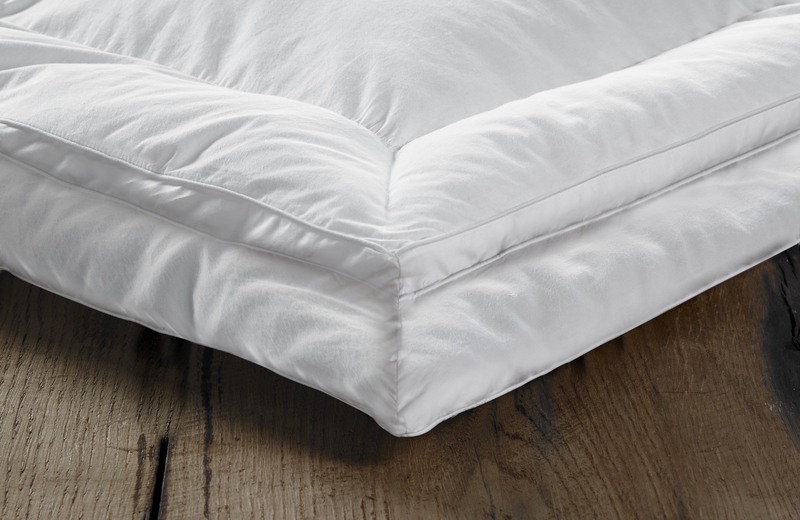 All of our duvets use the most luxurious European feather and down, and each piece is handmade here in Britain. 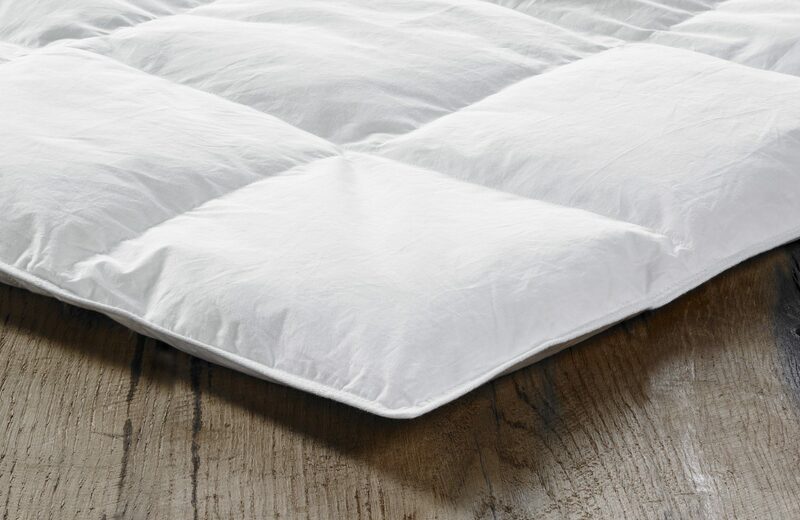 All of our mattress toppers use the most luxurious European feather and down, and each piece is handmade here in Britain.